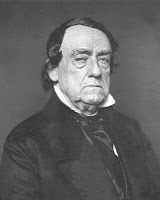 Eight counties, ten small cities, and thirty townships in the United States are named after Lewis Cass, along with numerous streets, schools, parks, and lakes. 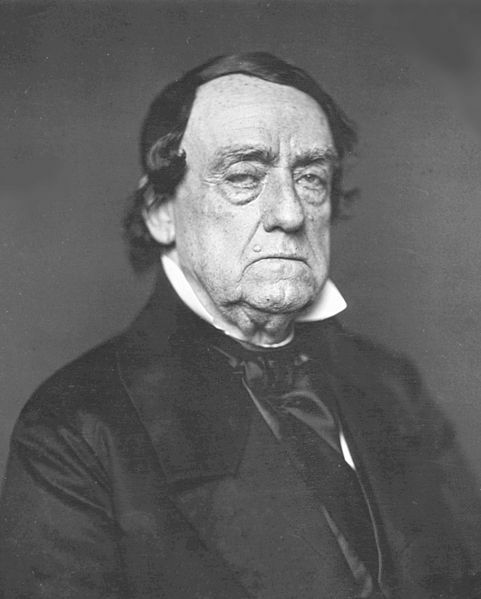 Born in 1782, Cass had a long and distinguished political career at a time when there were many places in the country that still needed names. After serving as a brigadier general in the War of 1812, he was appointed as the Governor of Michigan Territory, and in 1831, he became the Secretary of War. He was later named as the American minister to France, a post he retained for six years. In November 1842, shortly before Cass was to return to the United States, the American expatriate community in Paris held a farewell dinner for the rugged-looking Jacksonian statesman at Les Trois Frères Provençaux, one the city's finest restaurants. The scene is still funny. Appearing in the Sunday comic section of the New York World in March 1899, the first cartoon in a series, it shows a prosperous miner from Montana named “Slagg Diggins” stepping off the ferry with his wife and daughter, ready to enter high society.1 The headline warns the city’s well-established aristocrats, popularly known as “The 400,” of the arrival of this newly-minted millionaire, much to the amusement of the city’s masses who were well aware of the societal shift then taking place.